Trinity United Methodist Church, Los Osos Cares, People Helping People, and other local organizations will hold a hunger walk in Baywood Park benefiting food programs that support families in our community. 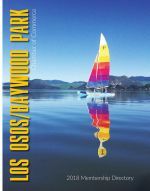 Participants will enjoy a one-mile walk through Baywood Park. Registration begins at 9:00 a.m. at Crizer Construction and the walk will start at 9:30 a.m. Contact your favorite food program provider for information about walking to raise money or about making a donation.